1. The glass tilts. We tilt the glass to have liquid flow into our mouth, until the glass touches our nose. 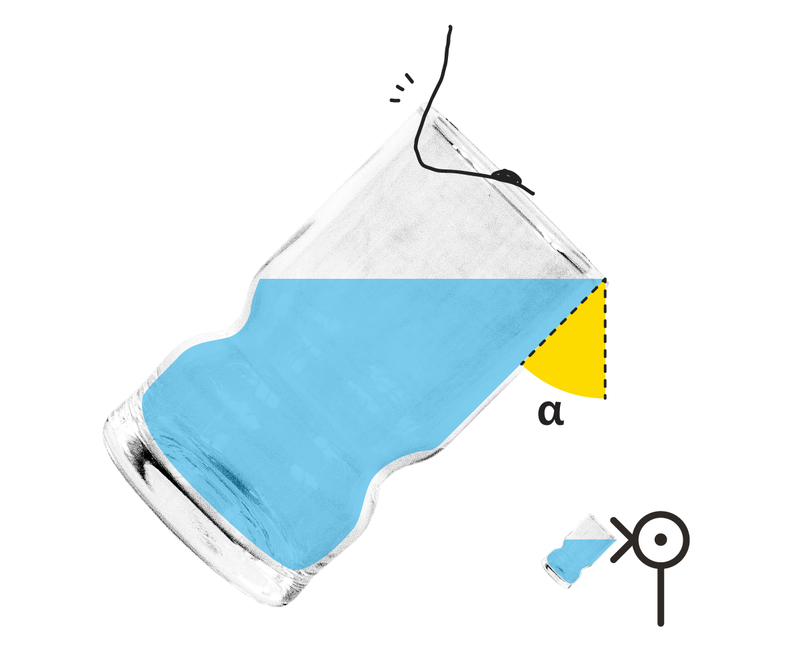 Let’s name this maximum tilting angle of the glass α. α differs from glass to glass, from person to person, from nose to nose. 2. The drinker tilts. Once we tilt the glass to its most, namely α, it is the time for us, the drinker, to tilt. 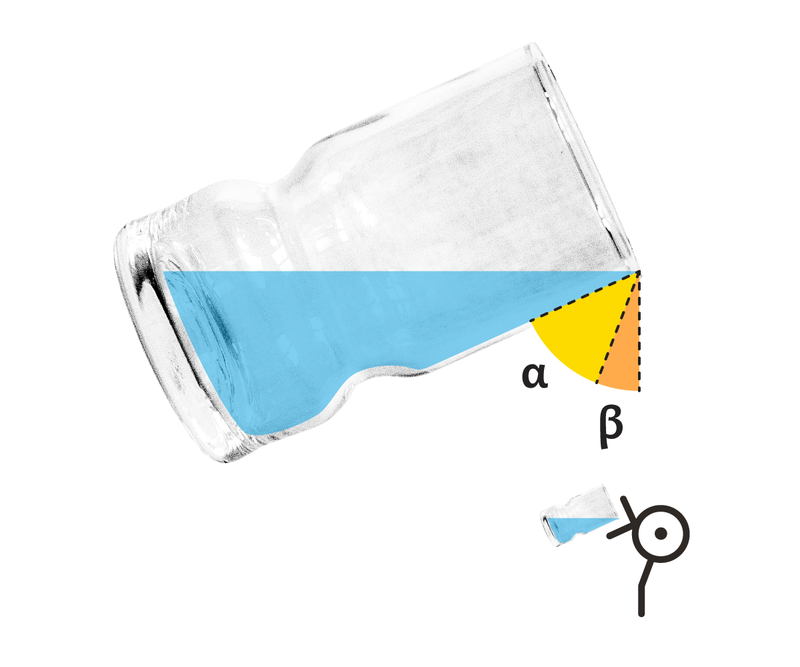 If the drinker’s tilting angle is β, then the total tilting angle of the glass is α+β. 3. Finish. 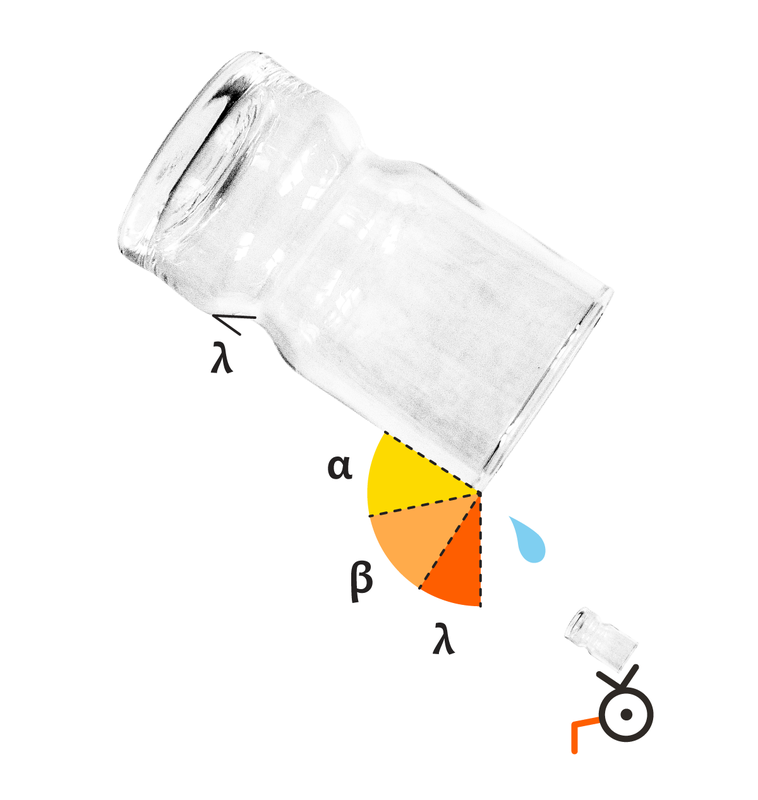 In normal cases, in which the glass is cylindrical, 90° should be the angle of drinking it all. 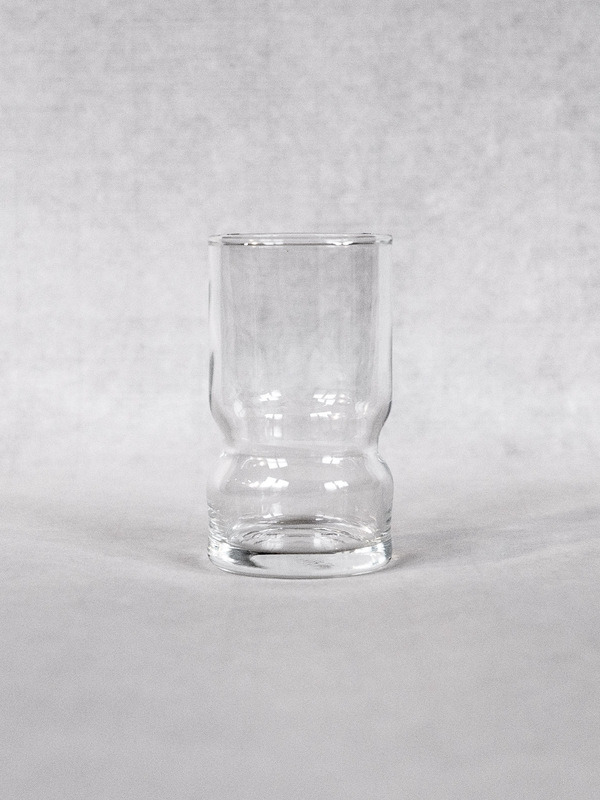 Our glass in question is also cylindrical, we reached 90° as we normally do, but we didn’t finish the sake. Why? Because the glass has a peculiar waist. 4. Really finish. So, in order to really finish the sake, we have to keep tilting. λ is the additional tilting angle — the extra portion added onto the standard 90° when we really finish it. 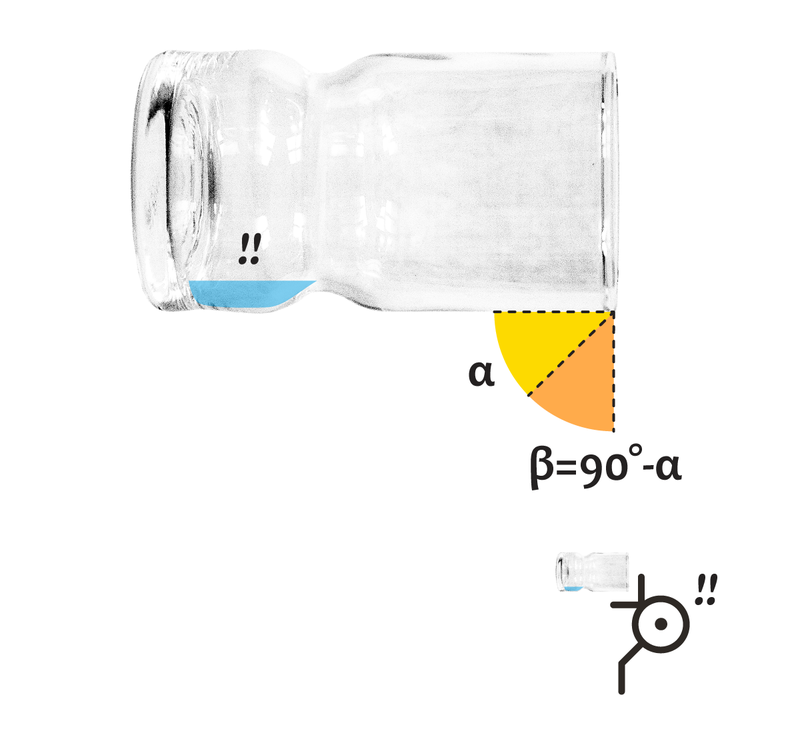 And λ equals to the angle of the glass waist. Why? Try to figure out by yourself. We started to use this glass 5 years ago. In other words, it took us 5 years to find out this secret. But what’s the use of knowing it at all? At least, there are two of them. One, we know we can look far more heroic at the moment of finishing the last drop of our drink if we drink with the right glass. And we know exactly how much the heroic feeling is enhanced. 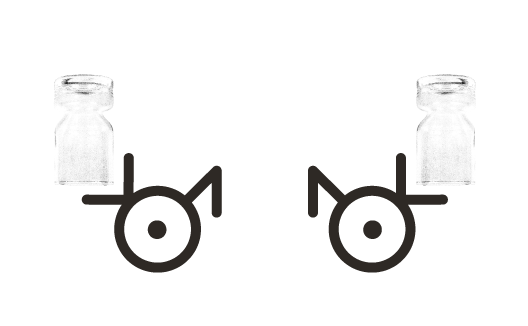 It’s λ.